I love soup. I’m a soup lover! Besides liking the way it tastes, I like that soup often allows me to pack a ton of vegetables into a meal and keeps me feeling full for a long time (I think it’s all the liquid). 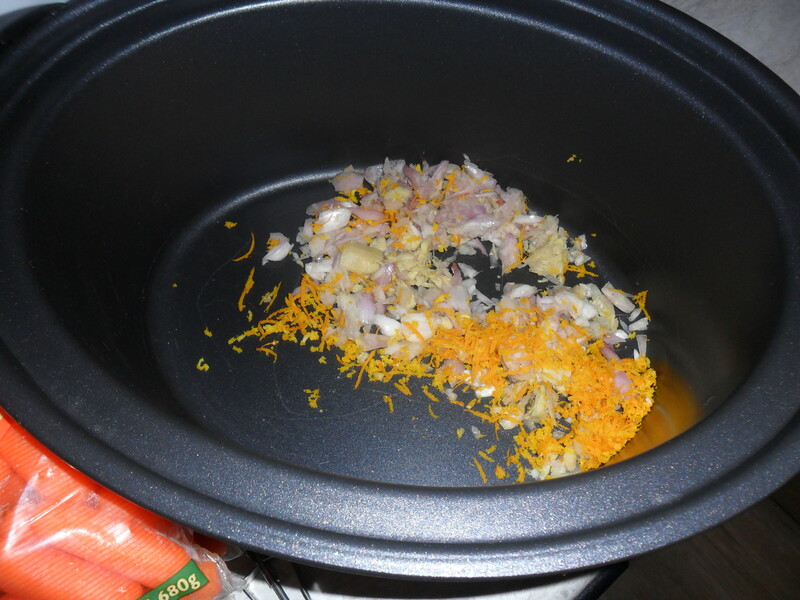 I’ve taken recently to preparing a big batch of soup in the crockpot on Sundays and eating it for lunch at work all week. I have a couple rules for soups made at home. 1. Packed with veggies 2. A healthy base like stock of tomato (no cream based soups). In the last couple weeks I’ve made this White Bean and Spinach soup and this butternut squash and apple soup. 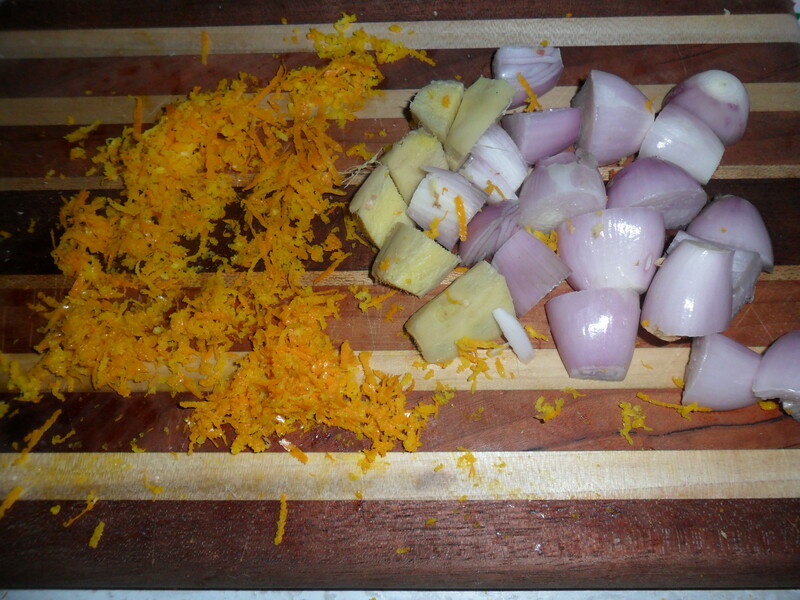 I started out with shallots, ginger, and an orange. 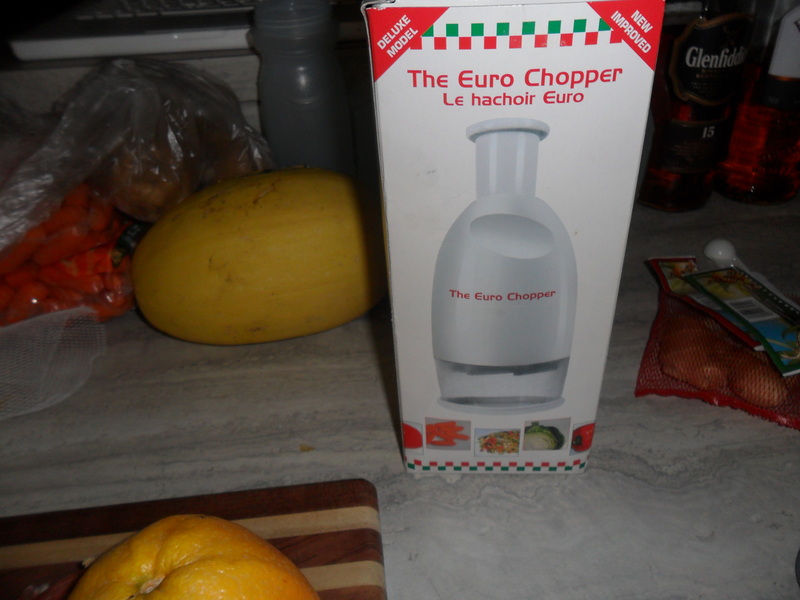 I zested the orange and minced the ginger and shallots with the help of my handy dandy Euro Chopper (I REALLY need to get a food processor). It didn’t turn out half bad actually! 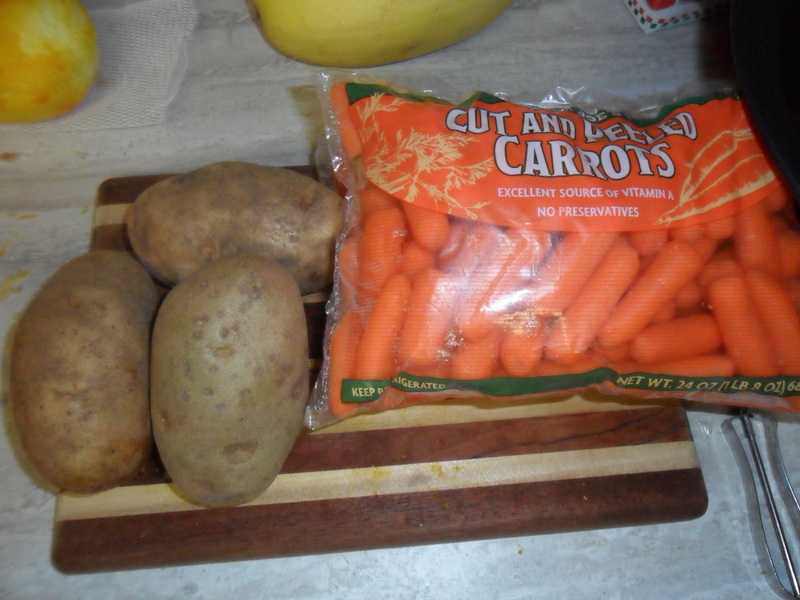 Then I got started on the potatoes and carrots. 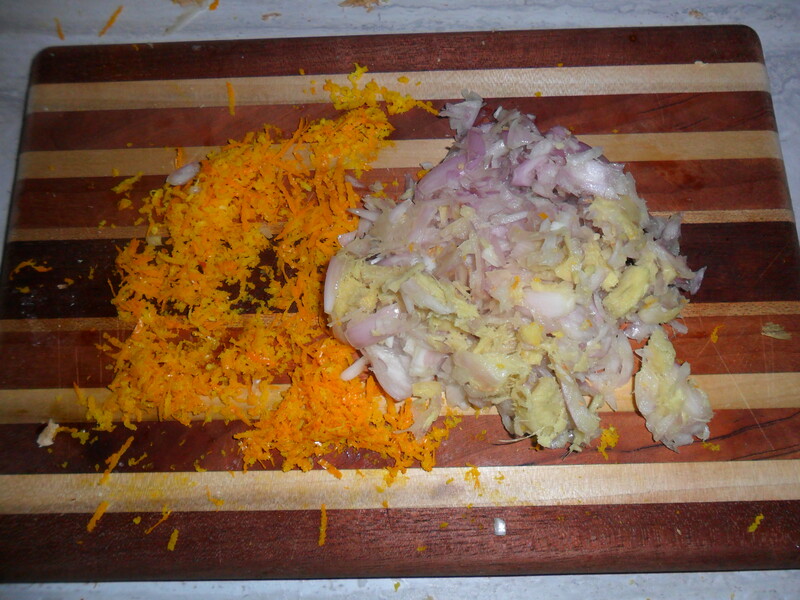 I decided to use pre-cut and peeled carrots for the recipe, but I still cut them in half to make the pieces smaller. I figured there was already so much peeling, cutting, mincing, and zesting in this recipe, I would give myself a break on the carrots. KITTY ATTACK!! 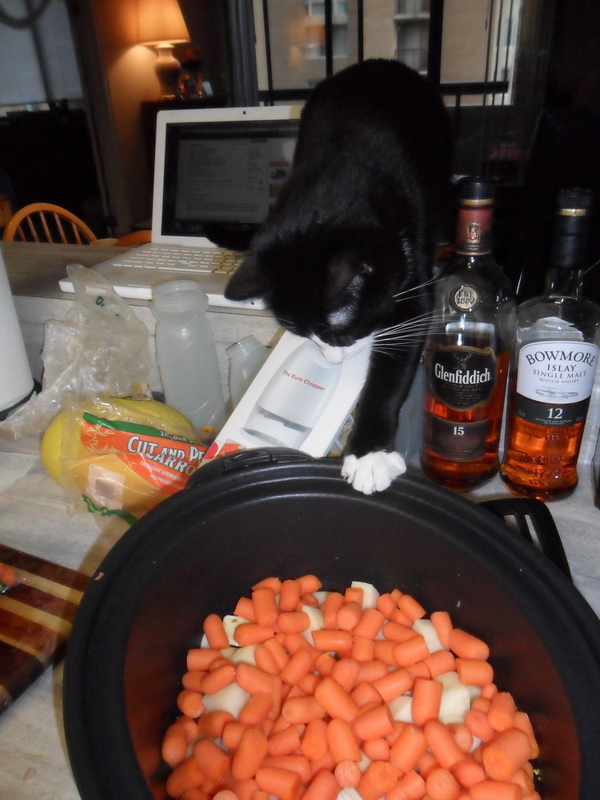 Luckily we were able to play quick defense and keep Fig out of the crock pot. 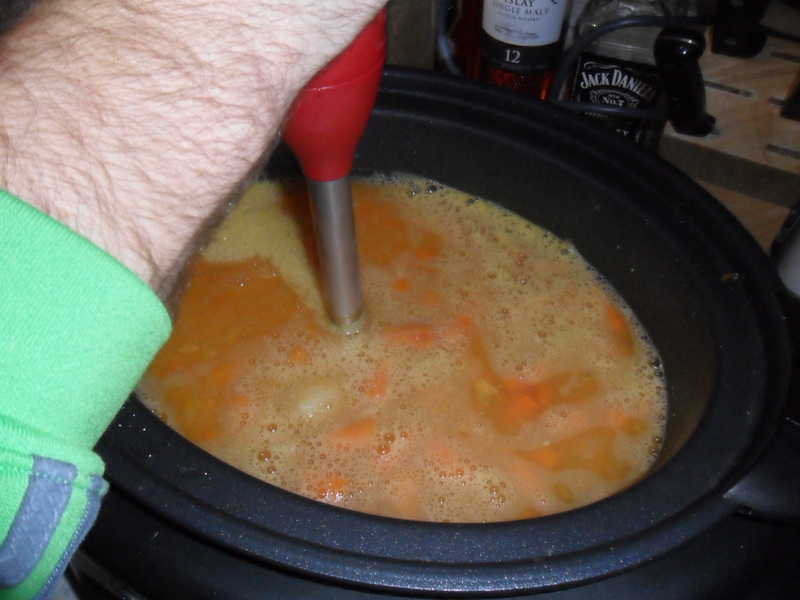 I used vegetable stock to make the recipe “vegan”. I don’t eat strictly a vegetarian or vegan diet. I personally believe (and I may get dinged by some for saying this) that just because something is vegan or vegetarian, doesn’t automatically mean its healthy. Conversely, I believe that just because a recipe includes meat doesn’t mean it’s unhealthy. I choose to eat a balanced diet that combines sometimes eating meat and sometimes not. If you call me a “flexitarian” I will find you and slap you in the face. 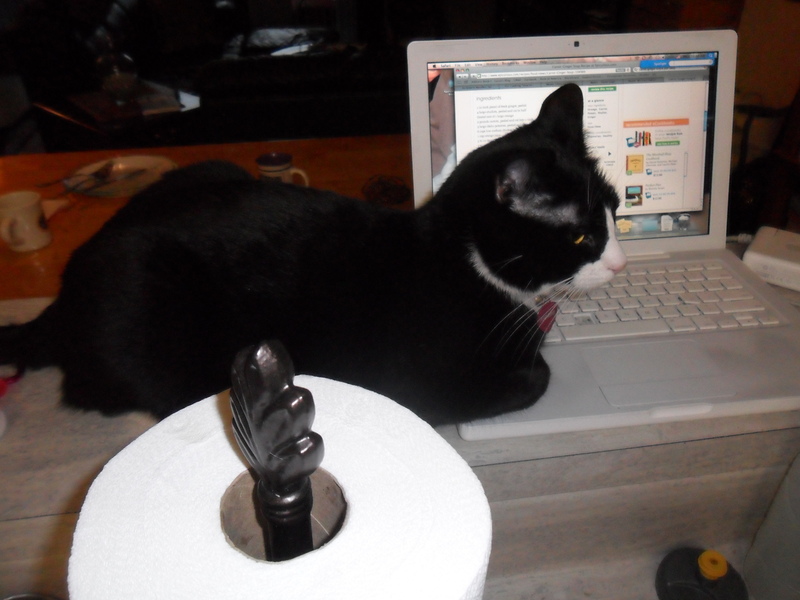 I continued to mess around in the kitchen while the soup cooked, and Fig sulked by laying on my computer. 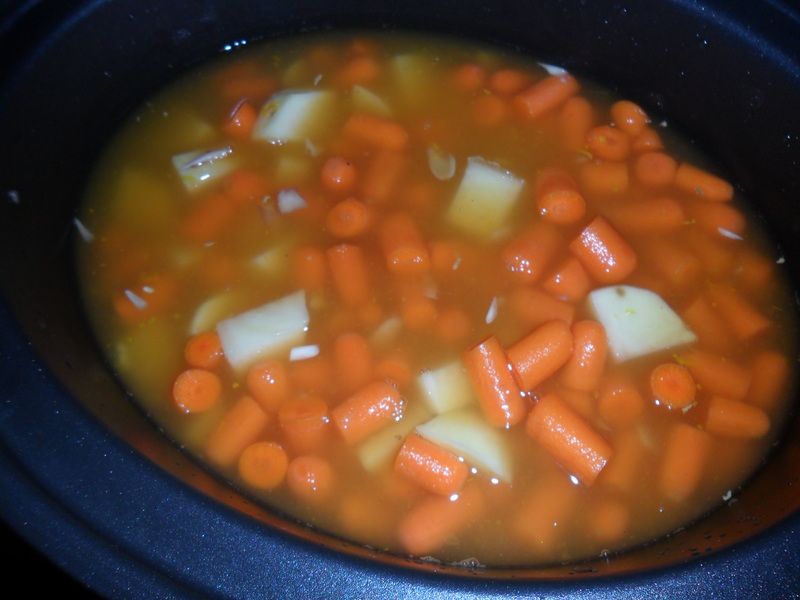 In my experience, this soup took way longer to cook than the recipe said. It said cook on high for 2 hours, but I ended up cooking it on high for 6 hours. It was just easier to let all the veggies get really soft. Then it was time to IMMERSION BLEND IT! 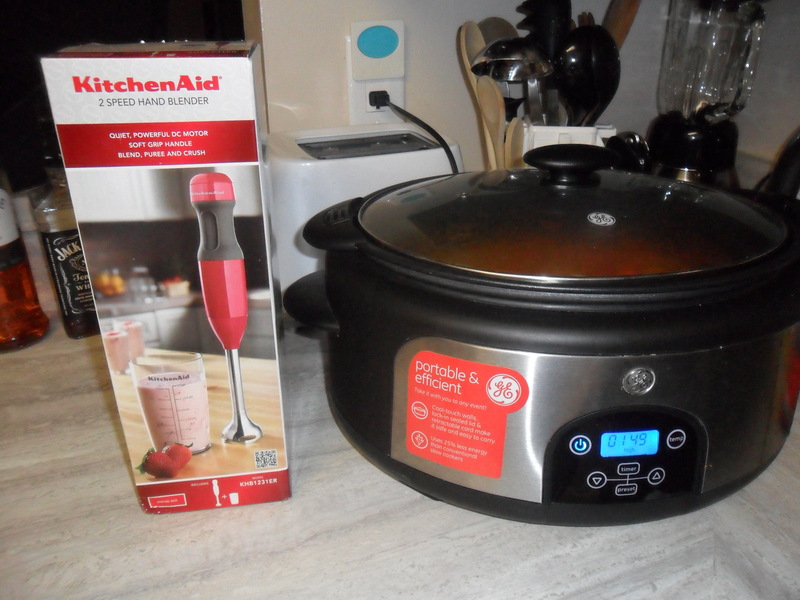 Mike was a super kitchen helper… I think he was also pretty excited about the immersion blender. Well friends… I’m off to NYC! I’ll be back with blog updates on Monday 🙂 Happy Weekend! 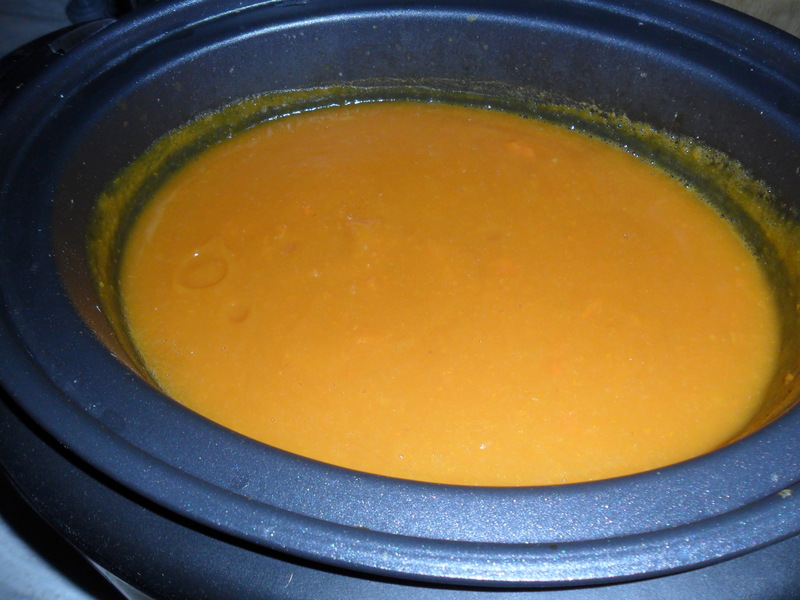 Your soup looks really good and perfect for a brisk fall day…we will try it here in Soutport since the nutrition and yumminess is right down my alley!